An indipendent official alpine guide is planning tours to the top craters. To reserve an excursion you can contact Pietro La Rosa, pietro.larosa@tiscali.it +39 331 1080540, http://www.etnatouring.com/. He speaks english, italian and french . 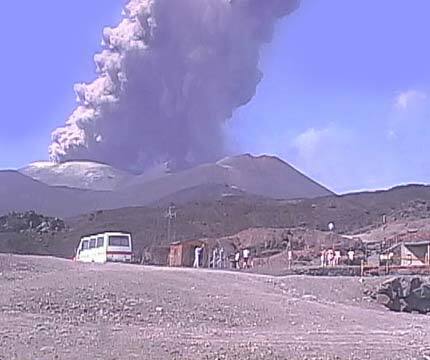 A YouTube video of a tourist who was there when Pit Crater began its show. Rocks are big but extremely light and infact you can see people walking under bombardment cathcing samples. 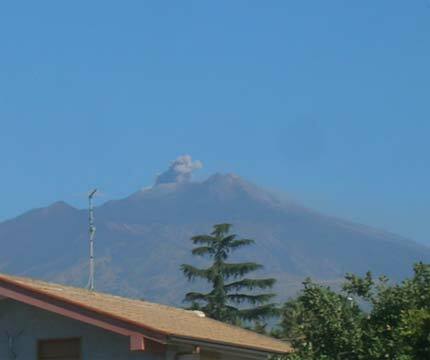 Thanks to Raimon Schulz we have a good webcam image of Etna’s yesterday activity. Photo shoot by cable car top station.